Thanks to all that attended the Square Foot Gardening Class. We had a great turn out! 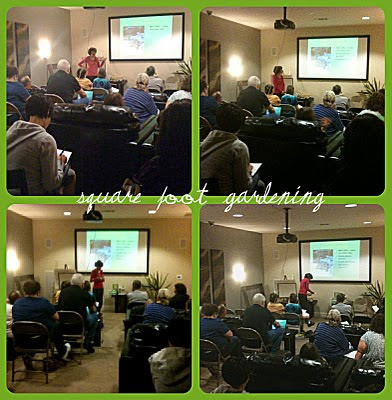 Please post comments and questions about Square Foot Gardenng to this post and we'll do our best to get them answered. What are the recommendations for watering? The recommendations for watering is to water by hand. Many just keep a 5 gallon bucket of water and a cup and water each plant. Hope that answered your question.